Timberix wooden grooved panels reduce echoes by trapping and diffracting sound in the grooves and perforation found on the surface. The sound that passes through the perforation is further absorbed by an acoustic substrate, which reduces reverberation in the room. Smaller grooves are better at attenuating high frequency sounds, whereas larger grooves are better at controlling low frequency sounds. 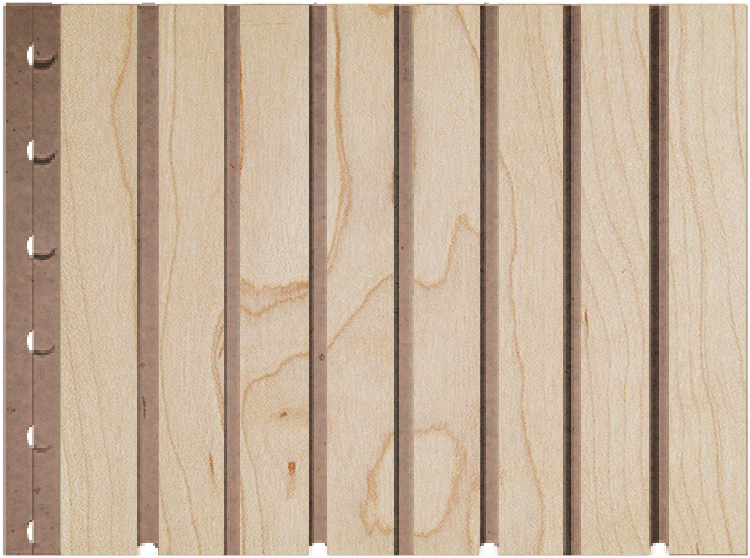 Our wooden grooved acoustic panel is made up of a series of slats and grooves. Each panel has a machined tongue and groove joint for a seamless joinery. 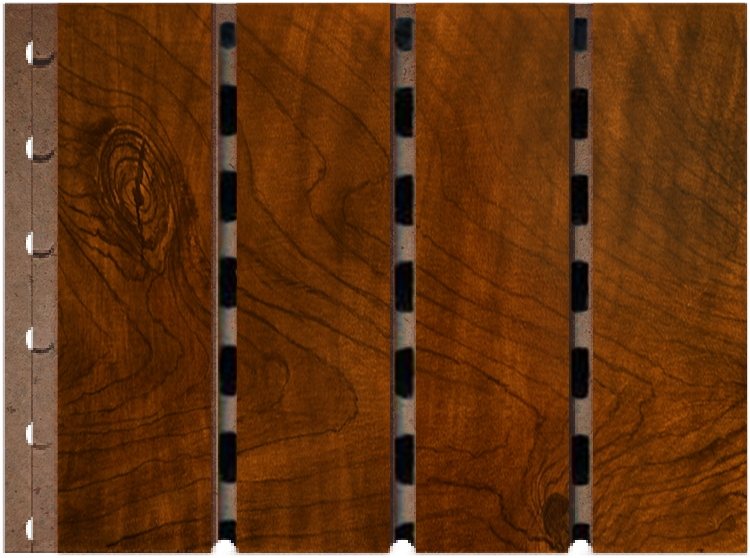 TIMBERIX wooden grooved panels come in 4 different patterns: 13-3, 14-2, 28-4, 59-5. The first number refers to the slat size (mm) and second number refers to the groove size (mm). The surface comes in 4 types of finishing: paint, melamine, PP, and veneer. 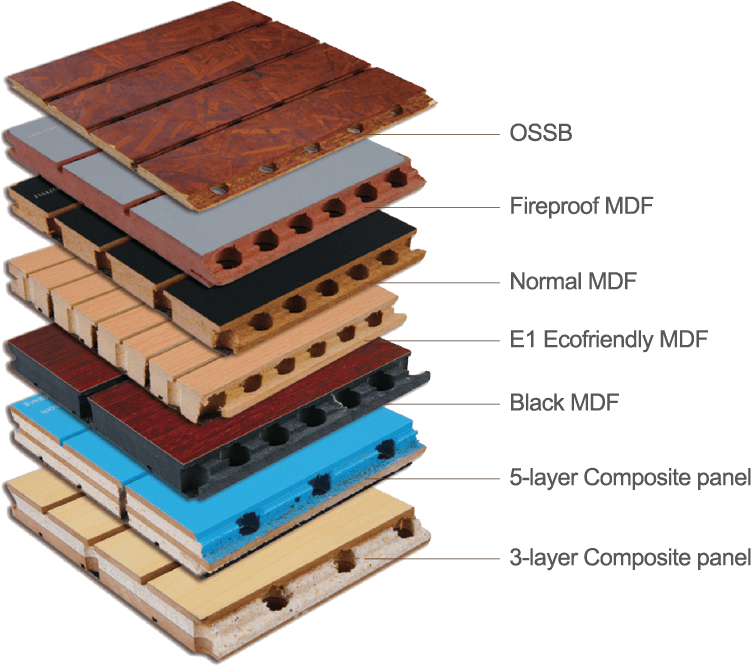 The base material can be made of MDF, fire-resistant MDF, eco-friendly MDF, black MDF, 3-layer composite, 5-layer composite or OSB. Material: E1 MDF, FR MDF, MgO Composite Board, etc. Finishing: Paint, Melamine, PP, Veneer, etc. Place of installation must be dry, with temperature no less than 10 degrees Celsius. Humidity level should be kept between 40% to 60%. TIMBERIX panels must be placed on site for at least 48 hours in order to adapt to the environmental conditions. Distance between each wooden batten should be less than 500mm, and that between each steel keel should be no more than 600mm. panels, and take into account M&E positions. Cut panels to size according to final positions. Decide on type of installation system to use. Install acoustic substrate of choice. 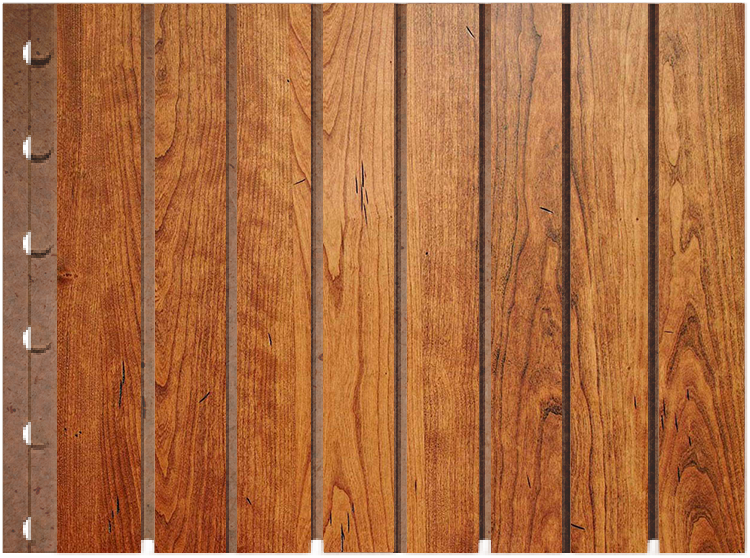 Join TIMBERIX wooden grooved panels from top-to-bottom, and left-to-right. Clean surface of the TIMBERIX panels with compressed air and gently wipe with dry cloth.